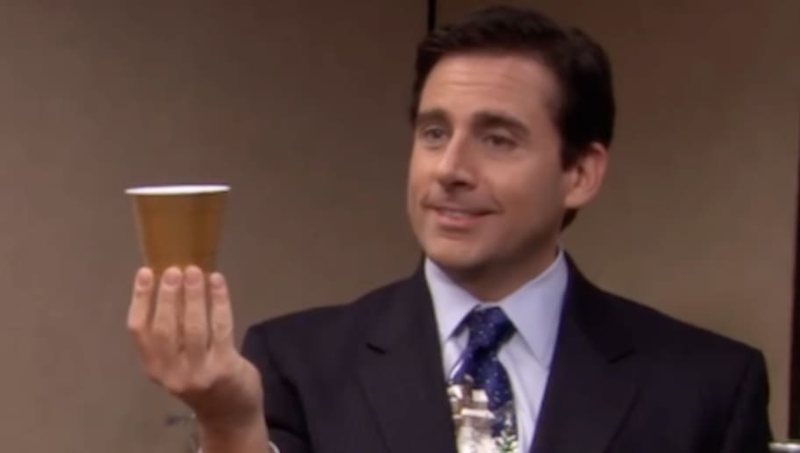 Whether you're hosting your own Dundies, Office Christmas Party, or "Michael Scott's Dunder Mifflin Scranton Meredith Palmer Memorial Celebrity Rabies Awareness Pro-Am Fun Run Race for the Cure," here's a quick list of some great drinks inspired by The Office that hopefully taste better than Michael Scott's famous description of "oaky afterbirth." 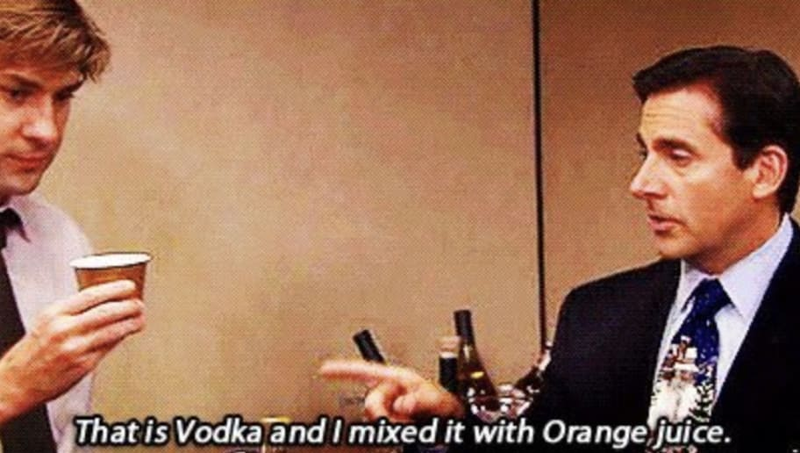 Michael Scott says: "That is vodka and I mixed it with orange juice. I call it an orange vod-juice-ka." Sure it's just a screwdriver, but knowing Michael it's probably mainly orange juice. Ingredients: Pour a shot of vodka into one of those brown, paper coffee cups used in offices and then fill with orange juice. 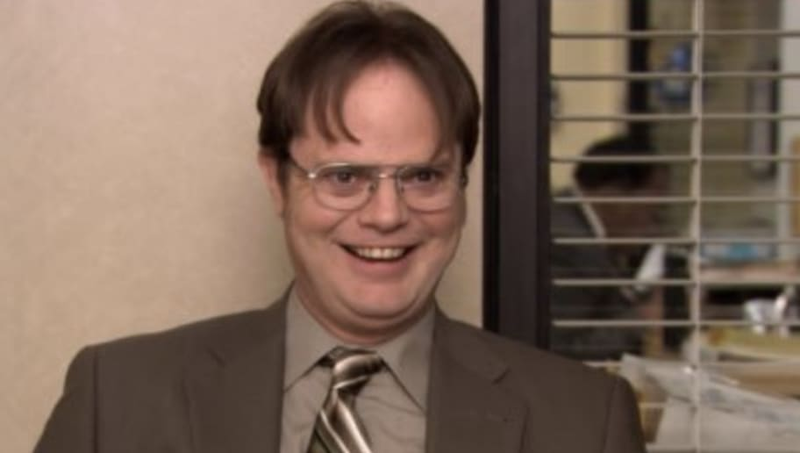 Dwight says: "It is not 'farm boy swill,' I will show you. It is beet vodka and it is delicious"
Beet juice might not be everyone's go-to mixer, but with this drink Dwight is out to prove your preconceived notions wrong. Ingredients: Pour one shot of Art In the Age beet-infused Vodka into a cocktail shaker with a shot each of purple carrot juice, pineapple juice, and lemon juice. Empty, with ice, into an old fashioned glass with a slice of cucumber. 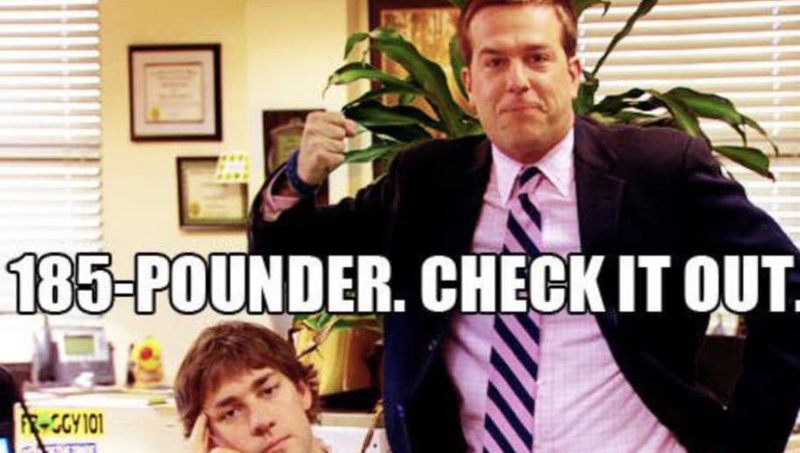 Jim says: "I ate a tuna sandwich, on my first day. 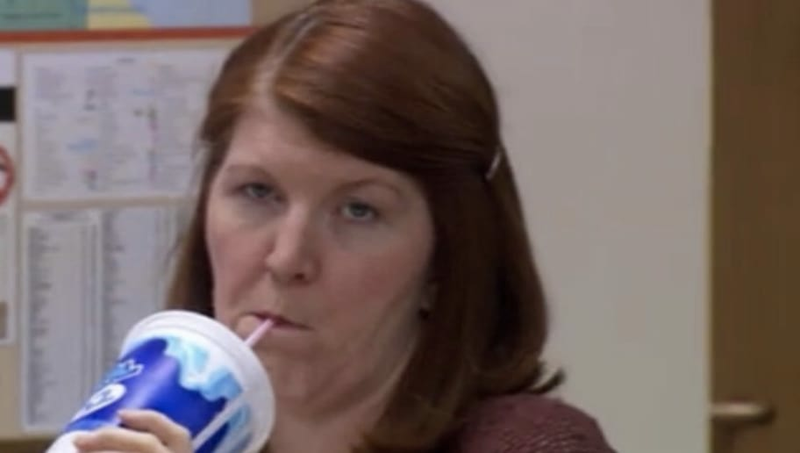 So, Andy started calling me Big Tuna. ...I don't think any of them actually know my real name." This one is for people who really like Tuna. Ingredients: Pour one shot of Jose Cuervo tequila, 1/2 ounce of Tabasco sauce, and a splash of tuna fish juice into a shot glass. It's like an Arnold Palmer, but with some Meredith flair. Ingredients: Pour 1 shot each of Limoncello Liqueur, simple syrup, lemon juice into a highball glass full of ice, and top with iced-tea. Michael says: "This is equal parts scotch, absinthe, rum, gin, vermouth, triple sec, and two packs of Splenda... call it a 'one of everything.'" 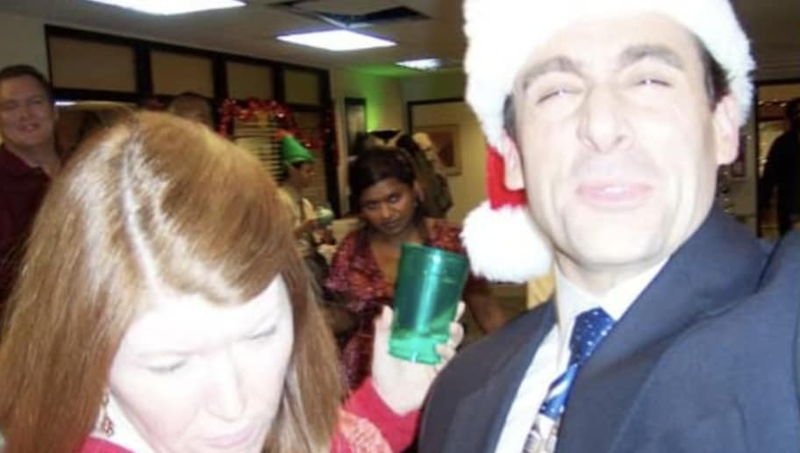 This drink is insane, as The Office is a comedy after all, so let's switch it up a bit so we don't die. Ingredients: Fill a highball glass with ice and pour in one shot each of white rum, gin, triple sec, vodka, tequila, and lemon juice. Top it off with cola and two packs of Splenda. It might just be a Long Island Iced Tea with extra sugar, but it's all the "one of everything" we need.